The change in UK Earnings is closely watched by markets and may have a significant impact on the GBP/USD. If it comes out at higher than expected with a deviation of +0,52 or higher, the pair may go down reaching a range of 39 pips in the first 15 minutes and 87 pips in the following 4 hours. The pair is tackling the highest levels since the EU Referendum back in June 2016 at $1.4345. Higher above, 1.4390 was a pre-Referendum gap line from June 17th, 2016. The post-gap level of $1.4435 is the next level to watch before the round level of $1.4500. A fall from the $1.4345 battle line would send the pair back to the late-March high of $1.4245. The next level to watch is $1.4150 which was a swing high in February. Another February high at $1.4070 is the next level to watch. In the last five releases, the GBP/USD moved, on average, 32 pips in the 15 minutes after the announcement and 71 pips in the 4 hours after the release. 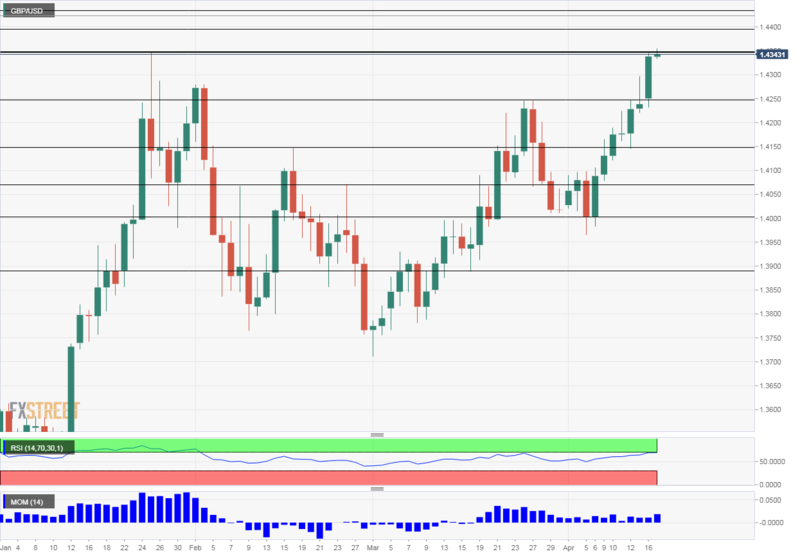 The previous release had a negative surprise of 4.08 concerning deviation and the GBP/USD reached a 55 pip range in the first 16 minutes after the release and achieving a range of 65 pips in the next 4 hours. With the British economy enjoying full-employment or near full-employment conditions, the focus in the past year or so has been on wages. Higher salaries imply a faster pace of rate hikes by the Bank of England. Earnings have been on the rise of late, raising the odds of a rate hike.